Blue Seal has a well-earned reputation as the most astute and diligent waterproofing company in Dubai. It is our knowledge and attention to detail that customers gravitate to. This focus means that we are easily one of the best cementitious waterproofing contractors in Dubai. Taking a skilled approach, will seamlessly install cementitious waterproofing to the basement, or any other environments within residential and commercial properties. This sound investment will protect your property for years to come, providing you with complete peace of mind. We value our customers which is why our contractors take the time to identify and install the right cementitious waterproofing for your environment. Our diligent approach means that we will ensure all substrates are free of foreign materials, form release agents, laitance and dirt prior to installing. We will fill all tie holes and cracks with the best pre-mixed sand and cement to ensure optimal longevity and reliability. We believe in adopting a client-centred approach. This ethos transcends everything we do. From your initial consultation to the completion of your waterproofing installation, you will feel assured that we are one of the foremost waterproofing Dubai companies. To learn more of our approach, all you need to do is contact us. If you wish to safeguard your property against water damage, we will explain your options clearly and effectively. Our solutions are as innovative as they are definitive – something that will become apparent from your very first contact with us. To learn more about why we hold an established reputation across Dubai and the UAE, or to discuss your specific requirements and expectations, contact us today. We’re happy to provide you with examples of cementitious waterproofing projects that we have completed. Get in touch with us today to learn more. Our cementitious waterproofing contractors hold all relevant qualifications. This provides our clients with the assurance that all work will be completed to the highest possible standard. Our experience and expertise in installing cementitious waterproofing has seen our reputation as one of Dubai’s premier waterproofing companies soar. Providing unrivalled waterproofing solutions of all descriptions to residential and commercial properties, our services are both admired and highly sought-after. We’re able to provide tailored and diligent waterproofing solutions that won’t disrupt the aesthetic of your property. This is true of even the most challenging of environments and straightforward waterproofing. In addition to this, we’re happy to provide essential maintenance of cementitious waterproofing, ensuring optimal performance. 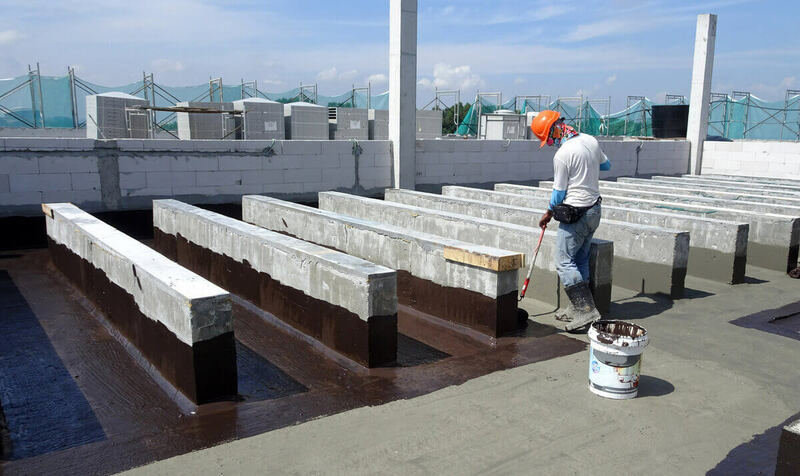 Why not call us today on: 04-227-0123 and learn more about why we are considered the foremost cementitious waterproofing contractor in Dubai or learn about our additional waterproofing concrete services. With many years in the Dubai construction industry, we are an excellent choice for cementitious waterproofing solutions to homes and commercial buildings in Dubai and across the UAE. Call us today on: 04-227-0123 for your solutions to cementitious waterproofing in Dubai.